GE Transportation has received an order for 200 diesel locomotives from Canadian National Railway (CN) – the largest among Class I railways since 2014, according to GE. 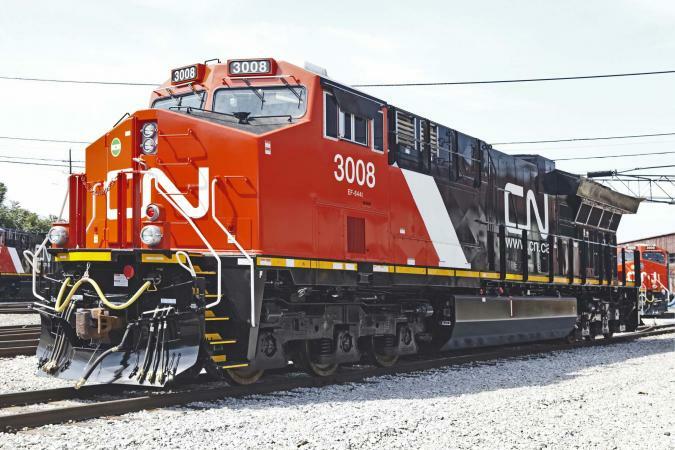 CN president and CEO Luc Jobin said that the new locomotives – and the digital technology they will be fitted with – will enhance the company’s operational efficiency in the years ahead. The full order will be delivered over three years from GE’s facility in Fort Worth, Texas, beginning in 2018. It includes Tier 3 and Tier 4 Evolution Series locomotives fitted with GE’s GoLINC platform, Trip Optimiser system and its Locotrol technology, to optimise power distribution, train handling, brake control and fuel utilisation. GE Transportation CEO Rafael Santana said: “CN’s steadfast commitment to serving the expanding needs of its customers across Canada and the United States is helping to turn around the North American locomotive market.